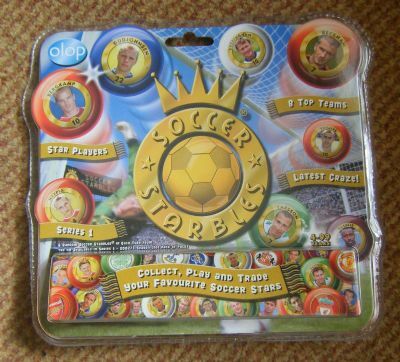 Soccer collectable game that had huge publicity around the launch as it was featured on a business TV programme. 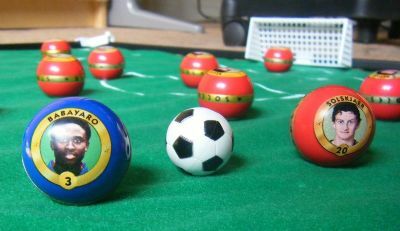 Classic Subbuteo game technique except that the players are all marbles. 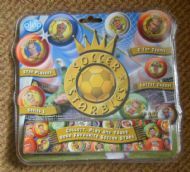 A huge amount of players to collect. A very well designed and presented game that bombed! The playing pitch and surround come in a large plastic tube with carrying handle. 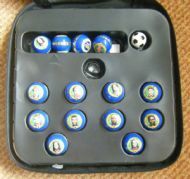 The price is for a complete set plus team hold bag full of players. Large cloth pitch (with massive logo), pitch surround barrier, plastic goals and two eleven a side teams plus ball. This is a packet of half a dozen players. 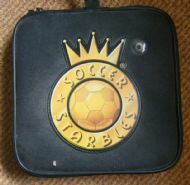 The pitch and team holder bag were available separately. 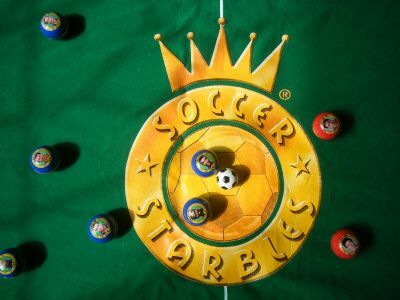 Babayaro and Solskjaer halt the game as they pose for photos in mid action. 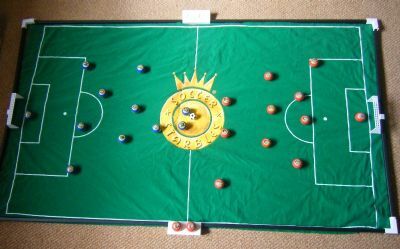 Players are flicked and rolled to kick the ball. 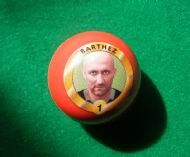 Each player has a photo on the ball. Hundreds to collect.